Amritsari Dal is packed with nutrition from the split urad dal /urad dal chilka and chana dal flavored with authentic spices and ghee. This dal is the most popular dal from the state of Punjab. This is creamy and comfort Punjabi dal recipe. This is also called Langarwali dal (it is regularly served in the Gurudwaras) and Maa Choleyan di Dal also. You can check different version of the same dal, by click on it. Some people will called this dhabe wali dal also. This is a punjabi dish made with a combination of two dals.﻿ The dals mainly used are split black urad dal and Chana dal (yellow gram). It's one of the comforting dal recipe which is a must-have on our meal planner once in every week. Very easy to cook and uses no fancy ingredients – yet so delicious and flavorful. 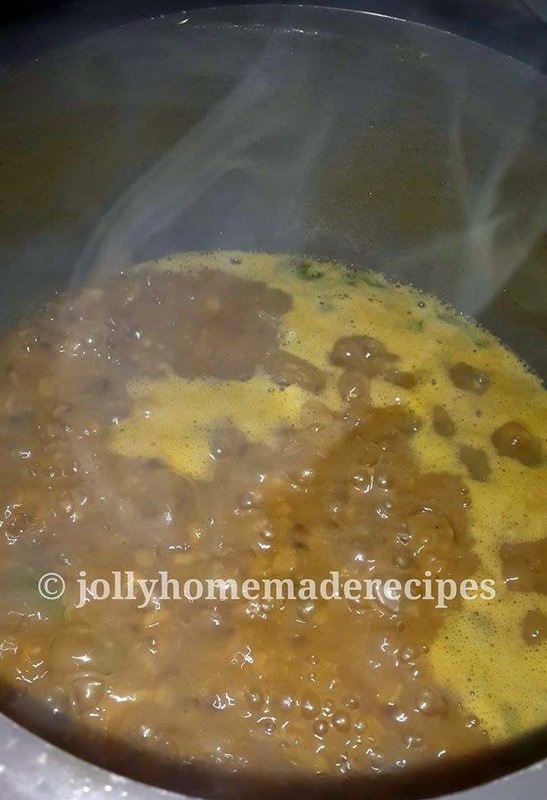 In Gurudwaras they put the lentils with water and whole spices to cook on slow flame in the evening and keep stirring it to become thick and creamy. By morning it's ready to be served to the devotees after tempering it. Serve it with simple wheat flour chapati, the full meal taste divine. I have learnt this dal from my cook mentor "My Mom" , who has been making this way from many years. We called this dal " Family Wali Dal". This is our staple food in my father side family. This is our family favorite dish because it's a smooth dal with a creamy texture from the black gram and a subtle nutty sweetness from the chana dal. You can serve dal with plain roti or an accompanying with white rice...it's really scrumptious !! 2. Remove the cooker from heat and let the pressure release. 3. Mash the dal using the back of the ladle. Not fully just little bit, it gives you creamy consistency. 4. Heat ghee in a pan, add cinnamon and cumin seeds and let them crackle for a few seconds. 5. Add ginger, garlic and onion and fry until onions are slightly browned. 6. 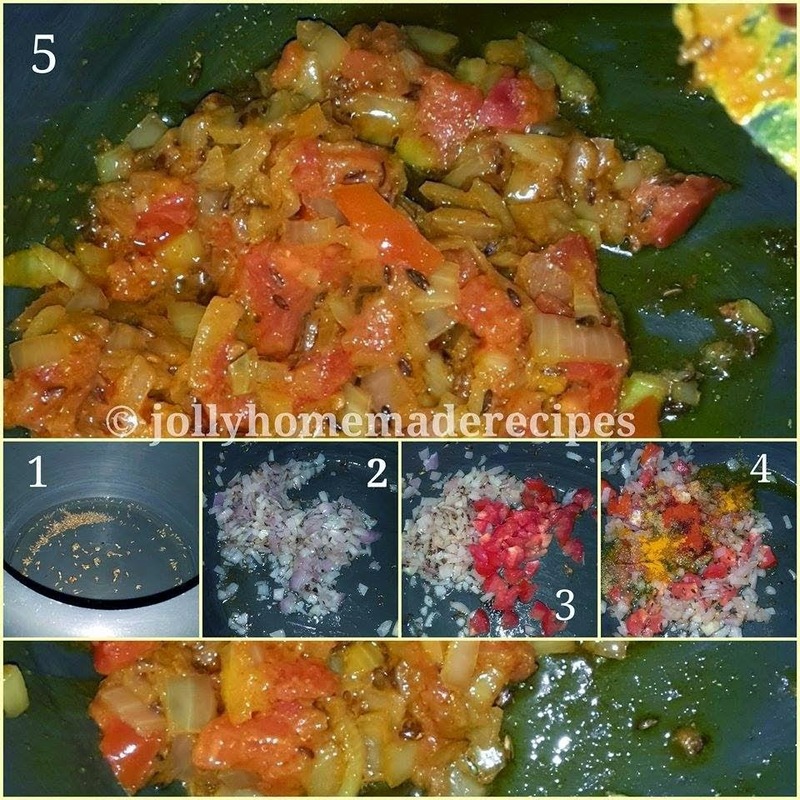 Add green chilies and tomato and fry for 2-3 minutes. 8. Add red chilli powder, dry mango powder, coriander powder, cumin powder and garam masala powder and fry for a few seconds. 9. Add the tempering in the dal and mix well. 11. Serve hot with Plain roti or laccha paratha or Naan. 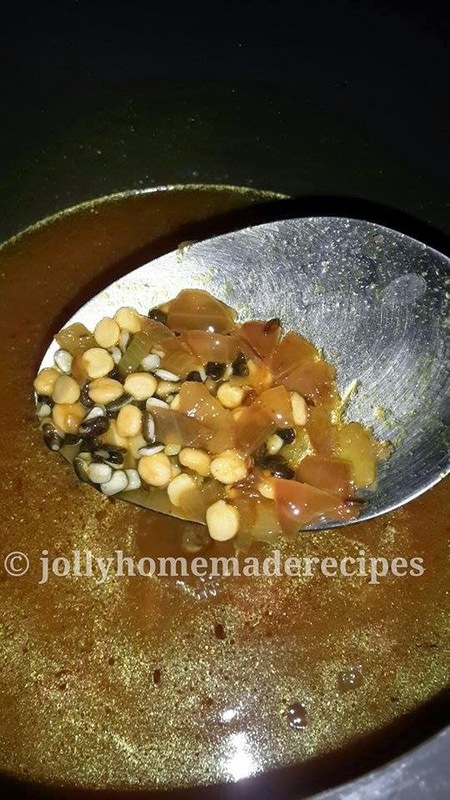 Can have bowlful of this dal anytime such a hearty and flavourful recipe, thanks for sharing. Welcome Soma :) Thanks for liking it !! I love Punjabi food. And this dal looks super tempting Jolly. Its my son's favourite Dal. Loved the look. I love such hearty and tasty dals. I would definitely have a bowl or two as a snack than with roti! I simply love the dal that is served at the Gurudwara here. Your dal looks so delicious. I usually make it with only urad dal but next time will add chana dal too. 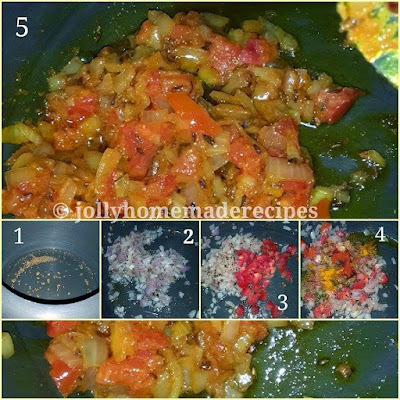 In the South, we do not use Urad to make dal so I am always fascinated by recipes that use it. Your dal is so hearty that I could eat it as a stew by itself. Such a delicious n yummy dal. Will love to have just the dal for my breakfast. I love this dal, it's one of the favourite dishes at home. Yours looks delish. Punjab has so many dal varieties, and this one looks really delicious... love how thick it is... can we use normal urad dal instead of the skinned one? One of my favourite dal. Sounds easy yet delicious and healthy ! Such a comforting food, i can sit and have this protein rich dal without any fuss with some rotis anytime, simply irresistible and delicious. I am a great fan of Gurudwara food, such divine and flavourful food one can have. I always wanted to try this daal at home and I asked one of the member in Gurudwara here in London and they actually invited me in their kitchen while they were making it. Since then I make at home. Such a delicious and aromatic daal. very comfort and hearty feeling curry.. Spices and dhal mix shows the taste of your amritsari dhal..
What a delicious comfort food! Can I substitute the mango powder with something else?